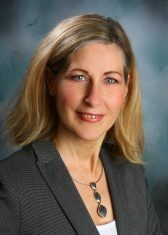 Susanne Greschitz has worked for many years as a head of department and personnel manager in the healthcare industry. She has extensive experience in organization and management. She is responsible for all organizational, accounting and human resource duties in Greschitz Management GmbH. Susanne Greschitz is on Xing, LinkedIn and can also be contacted via e-mail at sg@greschitz.net or you can download the full vCard. All Email messages are being signed digitally using S/MIME. For verification of the authenticity of messages sent by Susanne Greschitz please verify them using the certificate including the public key under the Certificate link.